The 52nd edition of the Joan Gamper Trophy will be held at Camp Nou on August 7th, 2017, FC Barcelona has announced (kick off 8.30pm CET). This year’s invitees are Chapecoense, the Brazilian club that was involved in a tragic plane accident last fall while on its wat to the Copa Sudamericana final in Colombia. The Joan Gamper game traditionally serves as the official unveiling of the team each season in front of the home fans. 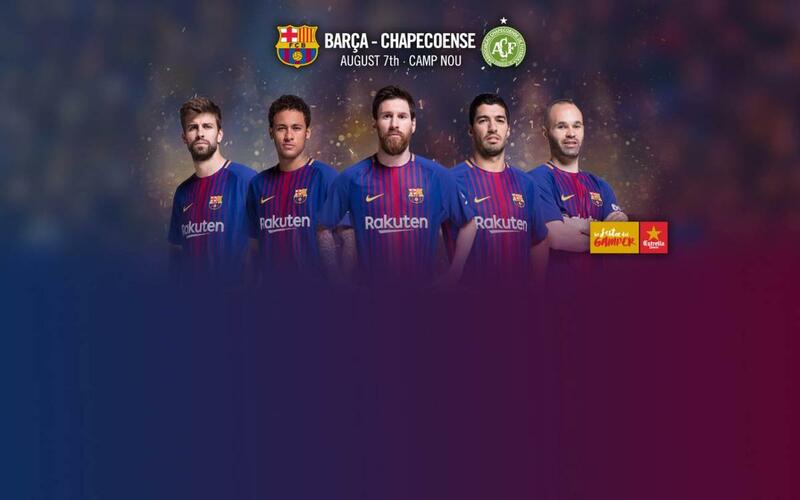 Barça previously announced its invitation to Chapecoense for this year’s Gamper to help pay tribute to the 71 people who died in the accident on November 28th, 2016, as well as their families. Barça hopes to help Chapecoense rebuild institutionally and recover the competitive level it had before the tragedy. Chapecoense will be the sixth Brazilian side to take part in the Gamper competition. Prior to them, Internacional de Porto Alegre, Vasco de Gama, Santos, Flamengo and Botafogo have all also taken part in the tournament. The only Brazilian side to win the trophy is Internacional Porto Alegre who were victorious in 1982/83. The latest match against a Brazilian team was in 2013 with FC Barcelona beating Santos 8-0. With yet another date confirmed in the Barça diary before La Liga resumes in August, the first team’s schedule of warm-up games is practically decided. The players are due back at training on July 12th and from the 19th to 30th of that month will be on tour in the United States, with games against Juventus (July 22nd), Manchester United (July 26th) and Real Madrid (July 29th). Once back in Barcelona, there’s the aforesaid Gamper match to look forward to on August 7th, followed by the first leg of the Spanish Super Cup against Real Madrid at the Camp Nou on August 12th or 13th and the second leg at the Bernabéu, albeit as yet officially unconfirmed, likely to be played on August 15th or 16th.